TWO IRISH CLIMBERS have reached the summit of Mount Everest. Derek Mahon, a senior manager at Danske Bank from Dublin, along with six times Everest conqueror Noel Hanna from County Down reached the 8,850 metre peak on Saturday morning. The two men, who are part of a seven-man team, are making their descent with the guidance of their Sherpas. Mahon is a seasoned climber, partnered with the mental health organisation Grow to raise awareness of the importance of supporting good mental health. Speaking before he left for his adventure, he said the “This climb is 10 per cent luck, 20 per cent physical and 70 per cent mental”. 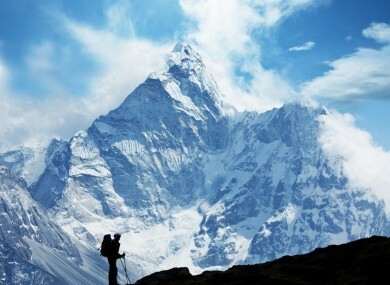 Email “Two Irishmen reach summit of Mount Everest”. Feedback on “Two Irishmen reach summit of Mount Everest”.